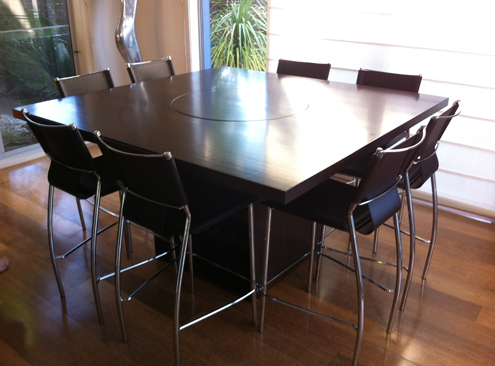 Square dining table made from Tasmanian Oak. It features a flush finish serving swivel in the middle and also a storage cupboard and wine rack in the base. It is finished in a dark chocolate stain and 2 pack satin lacquer.